People who are dedicated to videogames will go to extreme measures to enjoy them. We've probably all skipped a day of school or work following the release date of a sequel to our favorite game, or abandoned many social events in favor of marathoning them. 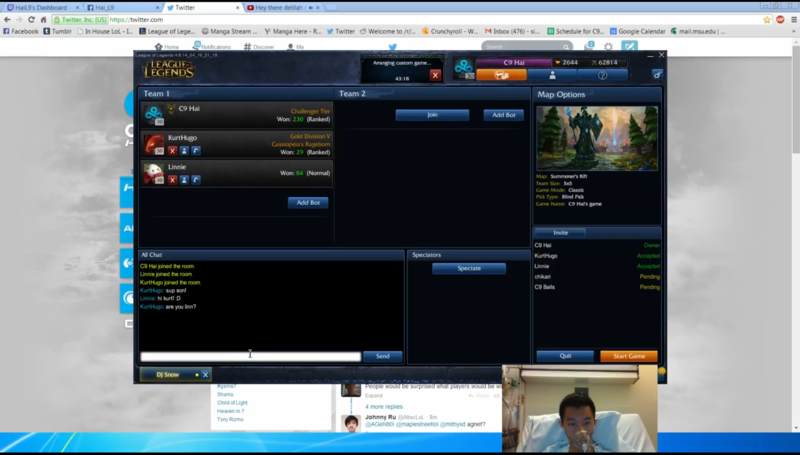 But Pro League of Legends Player Hai Lam just took it to a whole new level. Maybe it's because it's more than just a hobby for him. Lam plays for Cloud 9 's North American League of Legends team, which is sponsored by big brands like Logitech and Alienware. According to his Twitter account , Lam suffered a collapsed lung this weekend, which prevents him from attending the League of Legends All-Star event at Le Zenith in Paris, but it didn't stop him from playing and streaming the game from his hospital bed, as you can see in the picture above and in this picture posted to Reddit . Lam is going to be fine, by the way—he just can't fly right now. Hopefully his team manages without him at the tournament this week. For more on when, what and where to watch the All-Star 2014, Wes wrote a great breakdown of the event .